Palestinians protested Wednesday in front of the United Nations office in Ramallah against the latest wave of home demolitions and displacement of the Palestinian Bedouin community in the village of Abu al Jaj. 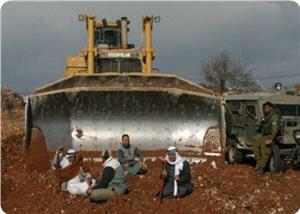 The community was evicted on May 21, 2014, rendering 71 Palestinians homeless. 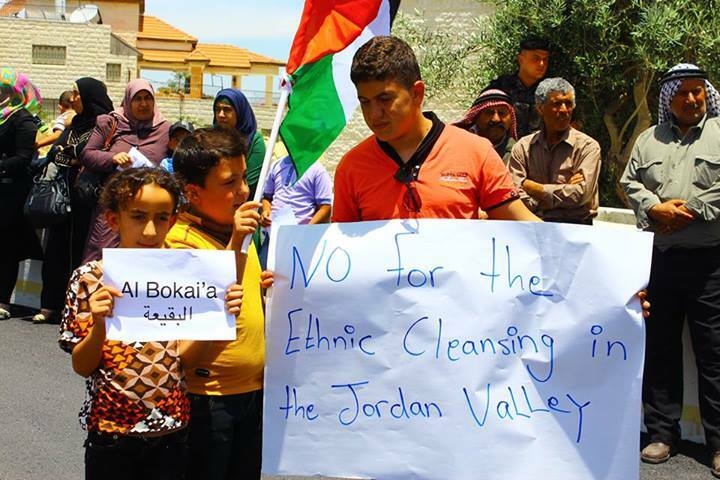 The demonstration demanded the United Nations and international community end their silence on the ongoing ethnic cleansing of the Jordan Valley. The demonstrators handed a letter addressed to Secretary-General Ban Ki-moon [PDF] asking for immediate and effective action. They also called upon international civil society to boycott the Hyundai Motor Company due to the company's involvement in the displacement of communities in the Jordan Valley. The eviction in Abu al Jaj is the latest episode in an ongoing policy of displacement and population transfer, particularly in the West Bank's Jordan Valley. 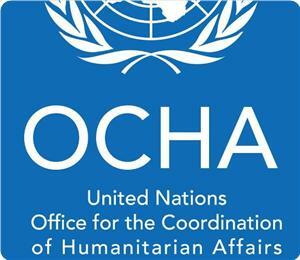 The United Nation's Office for the Coordination of Humanitarian Affairs (UNOCHA) has documented the demolition of 2,603 structures and displacement of 4,325 Palestinians from their homes between 2009-2013 . The majority of these demolitions have occurred in the Jordan Valley and in Area C.
Since the beginning of 2014, 611 people have already been displaced in the West Bank, and 308 structures were demolished. Israeli newspaper Hayom, according to the Palestinian News Network (PNN), reports that Naftali Bennett, Israeli Minister of Economy and head of the Jewish Home Party, has suggested in an article he wrote for the Wall Street Journal to demolish a portion of the Israeli "separation wall" in a move to annex Area C to the state of Israel, as well as giving its residents full Israeli citizenship. According to the plan, Palestinian authorities would be left with Areas A and B to build their state. 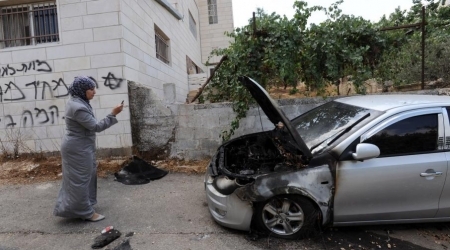 Bennett wrote that many Israelis think the wall is the reason for the decrease in terrorist activities in Israel; however, he would argue that the true impetus behind the decrease is Israeli military intelligence, and because the army enjoys complete freedom of movement in the West Bank. Therefore, the PNN reports, he concludes that Israel will be safer and better off without the wall. The Israeli Authorities announced the illegal annexation of 3000 Dunams of privately owned Palestinian lands belonging to residents of the Salfit district, in central West Bank. Jamal Tawfiq of the Land Defense Committee in Salfit told the Maan News Agency that the soldiers bulldozed and uprooted large areas in Thaher Sabha Mountain area, north of Kufur Ed-Deek village. Tawfiq said the army officially informed the Palestinians the area has been declared a “closed military zone”, an order Israel enforces before the illegitimate confiscating of Palestinian lands. The lands in question belong to the villagers of Kufur Ed-Deek, Sarta, Bedya and Broqeen. Tawfiq said that Israel tried to confiscate the area in 1985, but the residents managed to obtain an Israeli court order against the confiscation in 1990, and the army today claimed it gained a court ruling allowing the theft of Palestinian lands in the area. 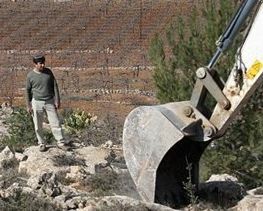 On Thursday morning [May 22, 2014] Several Israeli military jeeps, accompanied by armored bulldozers, invaded Palestinians lands and olive orchards in Kufur Ed-Deek, west of the central West bank city of Salfit, bulldozed lands and uprooted several olive trees. Member of the Kufur Ed-Deek Local Council, Mousa Qassoul, stated that several jeeps, accompanied by two armored bulldozers, invaded Thaher Soboh area, west of Kufur Ed-Deek, uprooted the trees, and started the removal of an old, unused, settlement road, the WAFA News Agency has reported. 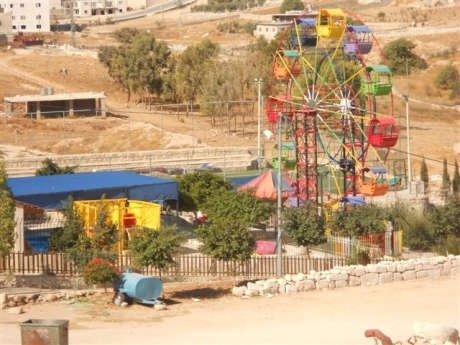 Qassoul said the attack comes in an attempt to illegally confiscate the lands for settlement activities, as the army is preparing for a new illegal settlement outpost between the town and Bedya nearby village. A mosque was demolished Thursday in Wadi al-Na'am village in the Negev to the south of the 1948 occupied lands by Israeli bulldozers under police protection. 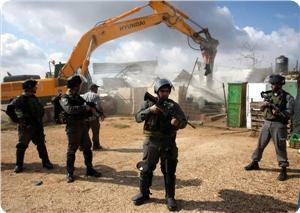 The demolition of the mosque raised fears among the villagers that their homes could be demolished next. The execution of such demolition comes just a few days after an administrative demolition order had been put up on the mosque’s walls as part of a wider Israeli plan to displace more than 60,000 Palestinian Arab citizens from the Negev. The plan aims at evacuating the Negev from its native inhabitants in favor of Israeli settlers, municipalities and military camps. Israeli Transportation Minister Yisrael Katz said he intends to submit a draft law expanding the boundaries of occupied Jerusalem, to include the settlement blocs of Maaleh Adumim and the Gush Etzion. The Likud Party official said his plan aims at what he called “preserving the Jewish identity” of occupied Jerusalem. He said that, as Israel will be marking “Jerusalem Day”, (47 years since it illegally annexed occupied Jerusalem), it will also be promoting a plan that would expand the borders of Jerusalem, and strengthen its “Jewish identity”. Katz will also support declaring what he called “The Greater Jerusalem”, after declaring settlement blocs and settlements, including those far from Jerusalem, as part of the “Greater capital of Israel”, the Israel Today News Website said. 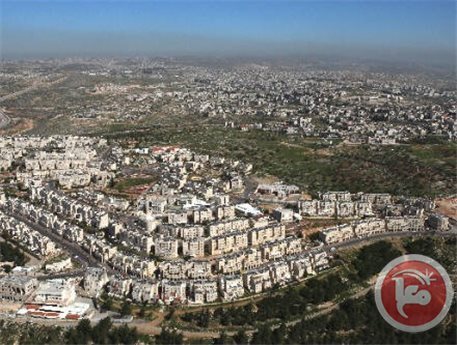 It added that Maaleh Aumim settlement block, Gush Etzion settlement block, Betar Illit and Givat Zeev settlements will be part of the jurisdiction of Jerusalem. He said this plan aims at creating a centralized council that protects the independence of each settlement, but Jerusalem will be a metropolis, similar to “Greater Paris”, and “Greater London”. His plan comes amidst deadlocked Palestinian-Israeli political talks, and amidst a serious increase in draft laws that target occupied Jerusalem, in addition to laws calling for annexing Area C in the occupied West Bank to become part of the state. Meanwhile, Israeli Housing and Construction Minister Uri Ariel said he expects the settler popular, in the occupied West Bank and occupied Jerusalem, to witness a %50 increase in population by the year 2019. The plan is another Israeli blow to political talks, that have repeatedly failed due to Israel’s ongoing violations, settlement activities, and aims at a further isolation of the Palestinians living in occupied East Jerusalem, and various areas of the West Bank. * Area C of the occupied West Bank is around %74 of the entire occupied territories, and falls under complete Israeli military occupation, security control, and is largely used for the illegal construction and expansion of Jewish-only settlements, in direct violation of International Law. 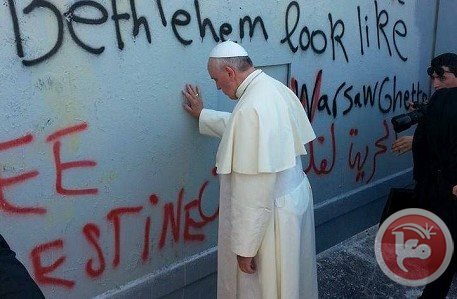 Under the Wye River Agreement, Israel was supposed to withdraw from an additional %13 of the occupied West Bank, which could have effectively reduced Area C to around %61, but Israel’s governments continued to violate agreements signed with the Palestinian Authority. While the Palestinian leadership in the West Bank and Israel are supposed to be holding talks on Israel’s full withdrawal from all of the occupied territories, including occupied East Jerusalem, and while talks were “progressing" in the 1990’s and various agreements were signed”, Israel launched one of the most massive waves of illegal construction and expansion of Jewish settlements through illegal annexation of Palestinian lands and private property. 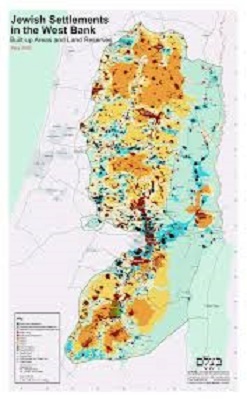 Around 99% of Area C are under heavy restrictions by Israel, off-limited to the Palestinians, as Israel’s settlements occupy around 68%, 21% are closed Israeli military zones, and around 9% is allocated for “natural reserves”. It is virtually impossible for the Palestinians in Area C to obtain construction permits from the Israeli Authorities, while construction and expansion of Jewish settlements have been encouraged and supported by Israel’s different governments. 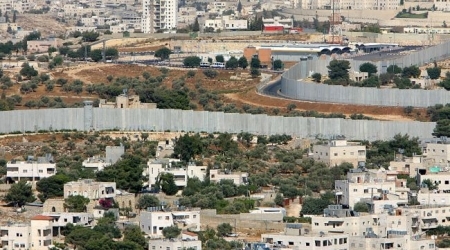 The illegal Israeli Annexation Wall came to further isolate the occupied territories, preventing hundreds of thousands of villagers and farmers from entering their own land, isolated behind the Wall, while many Palestinian communities have been totally encircled, and isolated, by the Wall. Israeli Occupation Forces (IOF) accompanied by military bulldozers stormed on Wednesday Jeftlek village, north of the Jordan Valley, and demolished 20 Palestinian facilities including tents and sheds. 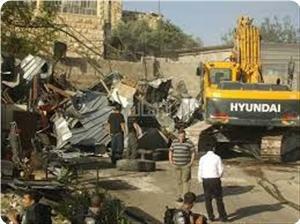 The IOF soldiers demolished sheds and tents belonging to Duayis family, local sources reported. IOF soldiers deported many Palestinian families living in the village from their homes under the pretext of being located in area C.
6 homes and 12 sheds were demolished this morning, which led to the displacement of 50 family members, Aref Daraghmeh, a local leader, told the PIC reporter. Israeli forces on Wednesday demolished 20 structures belonging to a Palestinian family in the northern Jordan Valley, leaving 25 people homeless as a result. Israeli civil administration forces reportedly arrived in the village of Jiftlik on Wednesday morning and demolished 20 structures belonging to the Deis family, 13 of which were residential steel structures while seven were steel structures used as barns for animals. Spokesperson for the Israeli Coordinator of Government Activities in the Territories Guy Inbar said that the "structures were built illegally without the permits needed," adding that the case had already gone to the Israeli high court and the residents were found to have lost. "It gave them the possibility to demolish the structures by themselves, but after a months passed and they didn't, the civil administration went and enforced the law," he said. In response to the incident, Jericho governor Majed al-Fityani condemned the Israeli practices of home demolition and said that Israel is "violating the rights and international laws against war crimes." 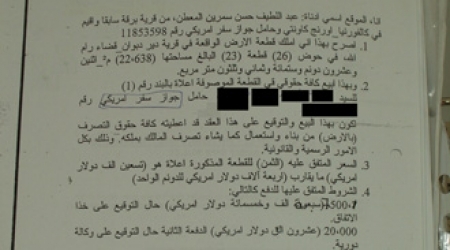 Al-Fityani added that these assaults "aim to damage the only source of living for farmers and citizens." The governor demanded the international community "show some responsibility and stop Israel from committing these war crimes." The majority of the Jordan Valley is under full Israeli military control, despite being within the West Bank. Palestinian residents are rarely given permits to build or repair their homes, while Jewish settlements have expanded greatly in recent years. Israel has destroyed more than 248 Palestinian properties in the West Bank and East Jerusalem so far in 2014, displacing 492 people, according to UNOCHA. 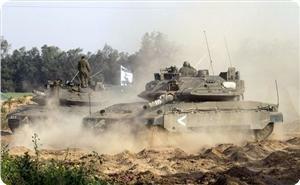 Israeli occupation forces (IOF) entered southern Gaza on Wednesday morning and bulldozed tracts of land while Palestinian resistance fighters fired mortar shells at them. Local sources told the PIC reporter that IOF soldiers escorting four military bulldozers advanced 200 meters into eastern Qarara town, to the northwest of Khan Younis in southern Gaza Strip, and leveled land. They said that resistance fighters fired four mortar shells at the invading troops and blasted an explosive device in one of the bulldozers. The PIC reporter said that IOF opened artillery fire at areas east of Qarara and another area to the north west of the incursion area. No casualties were reported. Reinforcements were sent to the invading force and sound of intermittent shooting was heard in the area as helicopter gunships hovered overhead, the reporter added.